Wimbledon is also referred to as Championship, Wimbledon and is the oldest and most prestigious tennis tournament. The tournament takes place at the All England Club in Wimbledon, London. The tradition dates back to 1877 and is still played out on outdoor grass courts. Wimbledon is one of the four primary tennis tournaments the others are the Australian Open, Grand Slam, US Open and French Open. Wimbledon takes place between the second week of June and concludes during the first week of July. The tournament includes five junior, major and invitation only events each year. ESPN broadcasts all the Wimbledon matches live as well as highlights from previous games the following day. ABC also streams games, but it’s not live. Usually, the matches are a day or so old. It’s possible to watch Wimbledon matches without having to deal with the hassle of regular cable services. 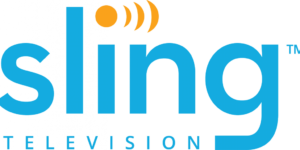 Cord Cutting services like Sling TV and DIRECTV NOW live stream ESPN and ABC via a web browser as well as dedicated apps for iOS, Android, and other smart devices. The large selection of sports and entertainment channels offered by both services ensures that you’ll be able to live stream Wimbledon as well as other tennis matches live. As of this writing, there is an official Wimbledon app. The official website is accessible but mainly offers information in the way of player profiles, interviews, etc. So, there is no way to live stream Wimbledon officially. Alternatively, people who have subscribed to ESPN as part of their pay-tv service can log in to the ESPN app to stream matches live on their mobile devices. Some websites start offering free streaming days before Wimbledon officially opens. Any and all sites offering free streaming of Wimbledon matches are either run by hackers looking to steal personal information from your device or pirates. Either way, live streaming without a license is considered piracy and could result in severe penalties.